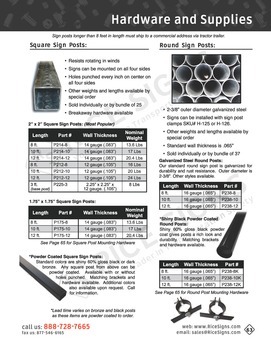 Round sign posts are 2-3/8" outer diameter. Made with galvanized steel to prevent rust. 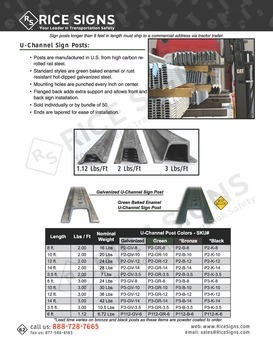 Standard wall thickness is .065"
Sign posts must ship by ground transportation. They are not eligible for air shipping. 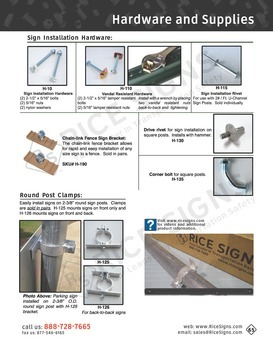 See 2-3/8" Galvanized Steel Round Sign Posts in our catalog on page 63. Our standard round traffic sign post is made of galvanized steel for durability and rust resistance. 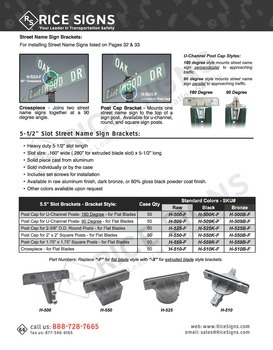 Traffic signs can be mounted to the post with post clamps (SKU# H-125 or H-126). 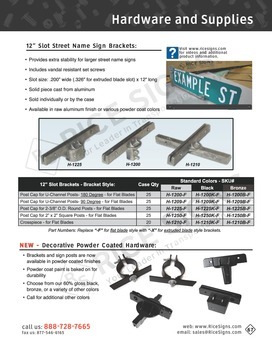 A street name sign can be mounted to the top of the post using SKU# H-500 or H-1250 brackets. 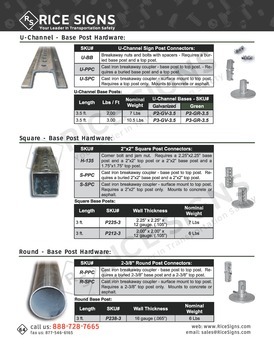 10 and 12 foot posts are oversized items and must ship by truck freight with a minimum order of 5 posts.